Canvas Parent enhances the potential for parents to engage in their children's education. Parents can review upcoming or past assignments, check on grades, and receive alerts for student activity. Canvas Parent can be used by any Canvas user with an observer account. Parents can use the Canvas Parent app on Android devices using Android 5.0 or later and iOS devices using iOS 10.0 or later. The Courses tab displays the list of courses that their students are enrolled in. 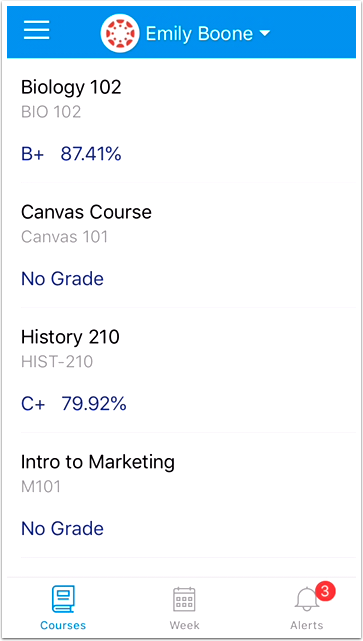 For each course, parents can see course grades, syllabus, assignments, and events. Grades display according to the course grading scheme. Assignments and events can be viewed by course or week. 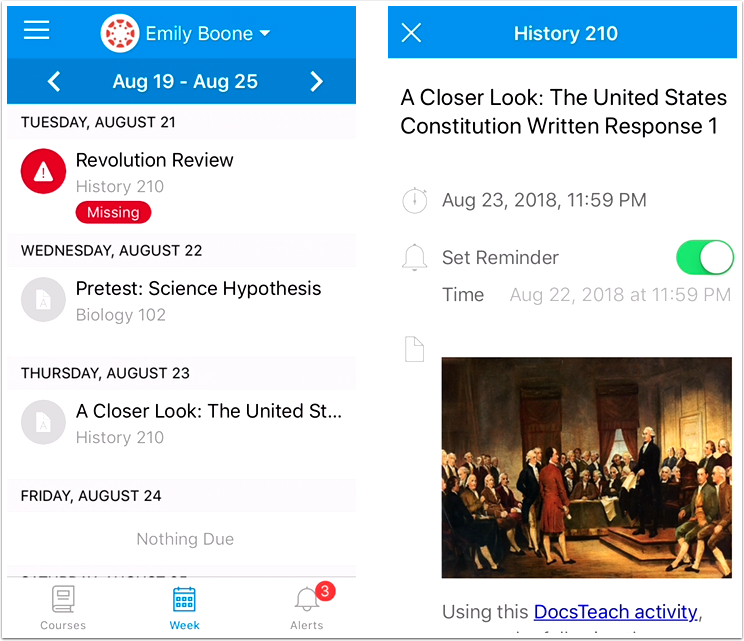 Parents can set reminders for a specific assignment or event, which are sent to mobile devices as push notifications. 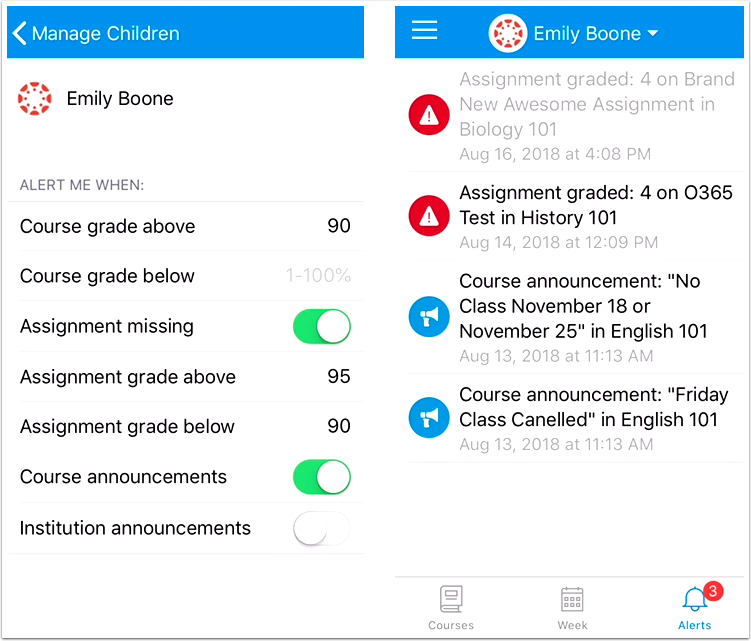 Parents can set alerts for specific assignment and grade activity. Alerts are displayed in the Alerts page in the app. Previous Topic:What is the Canvas Teacher app? Next Topic:What is the Polls for Canvas app? Table of Contents > Mobile Features > What is the Canvas Parent app? Re: How to Add Another Child to My Canvas account?